The RL-200 Series is available in single slope (RL-200 1S) and dual slope (RL-200 2S) models. No matter which one you choose, the RL-200 will keep you working accurately day after day by providing the highest grade repeatability available (7 arc seconds). Both models provide exceptional slope range, -5% to +25% for the 1S, and +/-10% in the X axis and an industry leading -5% to +25% in the Y axis for the 2S. Other features include a large, bright, high-contrast display, large, clearly labeled operation interface, and standard with the RL-200 2S, a full feature remote to control all RL-200 2S functions up to 1,000′ (200m) away. 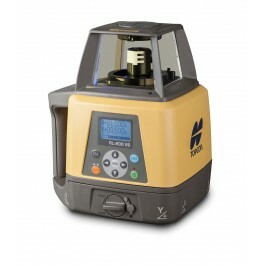 The RL-200 also come with Topcon’s exclusive 5 Year Guarantee, the best factory warranty in the industry (click here for details).